Built for Facebook Messenger Addicts. Now you really do not need to open the browser, just launch the app and start messaging. 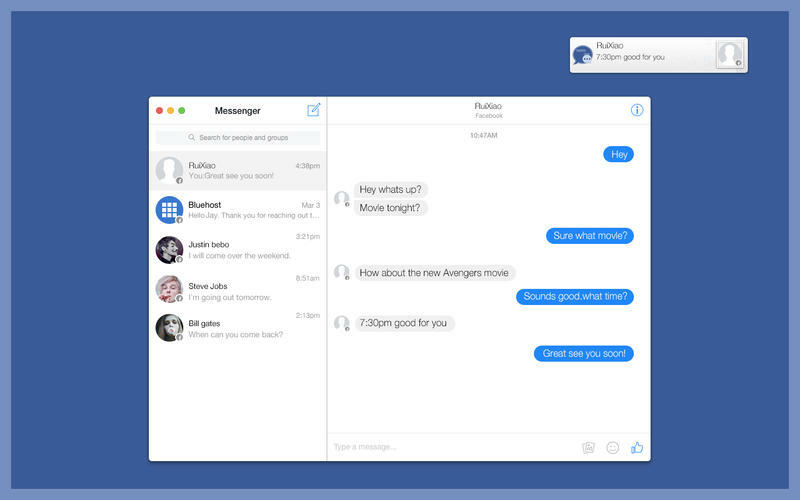 – Get to all your messages without having to open Facebook. – Bring your conversations to life with stickers and send photos privately. – Have group conversations and make plans on the go. – Share your location so people know when you’re nearby. – Know when people have seen your messages. – See who’s using Messenger and who’s active on Facebook. – Stay logged in so you never miss a message. – Never lose your conversation history or contacts. It’s Clean, Simple & Amazing!! Free Music - Mp3 Player & Manager.